"John Barrymore or Rudy Vallee"
John Barrymore was the son on Maurice Barrymore and Georgiana Drew. His grandmother was a prominent 19th century actress and theater manager, Louisa Drew, who encouraged all the Barrymore children to become performers. John Barrymore had a classic look earning him the nickname "The Great Profile" and was sought out by directors. He was considered to be the best actor of the Barrymore siblings (Ethel Barrymore and Lionel Barrymore); however, his heavy drinking impeded his career. John Barrymore had a wild side and his escapades are well recorded. He was kicked out of a distinguished boarding school for visiting a brothel, he would go on drunken jags for days, courted showgirl Evelyn Nesbit, and pretended to be a reporter after the San Francisco Earthquake in 1906. John Barrymore was best known as a Shakespearian stage actor, in particular for his performances in Hamlet and Richard III. 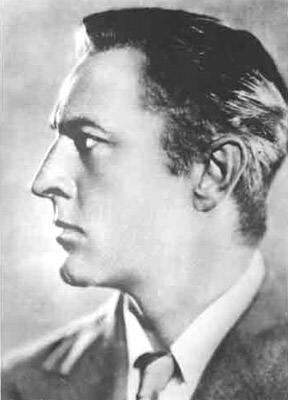 Barrymore moved his focus to silent film roles in such films as 1920 "Dr. Jekyll and Mr. Hyde", 1922 "Sherlock Holmes" 1924 "Beau Brummel", 1926 "Don Juan". This collection includes the few known episodes of "John Barrymore Presents Shakespeare" a rare show featuring Barrymore at his best. 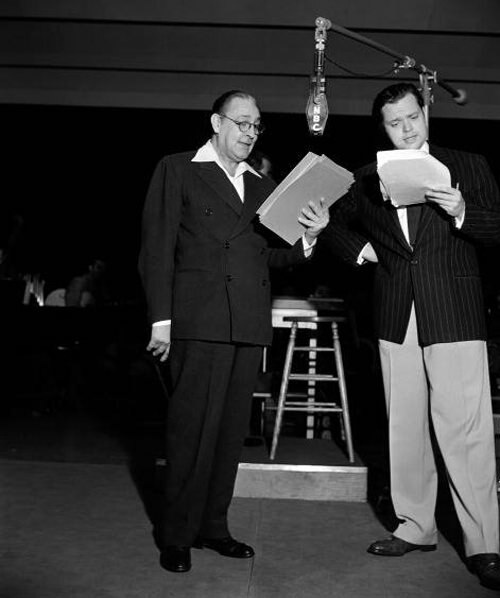 Barrymore collapsed while appearing on a radio show and died some days later in his hospital room on May 29, 1942 or pneumonia and cirrhosis of the liver. His last words were "Die? I should say not, dear fellow. No Barrymore would allow such a conventional thing to happen to him." See also: Shakespeare Collection and Lynn Fontanne and Alfred Lunt Collection. Be the first to comment on "John Barrymore"